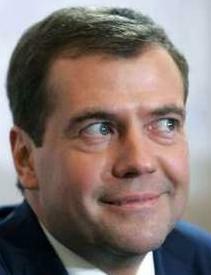 As of the last tax year, that was the sum in Russian “president” Dima Medvedev’s bank account. It had doubled compared to the year just before he became “president” of the country, although his salary in the intervening three years remained constant and was far lower than he received as the top executive at Gazprom, Russia’s largest business entity. Medvedev’s income remained, laughably, far less than that of Russia’s “prime minister” Vladimir Putin. Two years ago Medvedev’s wife had 50% more than that in her own bank account. Now, she has nothing. When asked what happened to the money by a Russian financial newspaper, the Kremlin refused to say. In a recent survey, over 75% of Russian respondents said that Medvedev, like all Russian officials, was lying when he reported his income last year. Russia’s most valuable company, Gazprom, has a market capitalization about $150 billion. That seems impressive, until you know that Exxon, America’s most valuable company, has a market capitalization more than double that of Gazprom. Flip your perspective, and you see something even more amazing. Gazprom’s value constitutes more than ten percent of the total gross domestic product of Russia. Exxon’s value? It’s less than two percent of America’s GDP. In other words, because the American economy is ten times larger than Russia’s, Exxon can fail and America will go merrily on, almost oblivious. But if Gazprom fails, Russia crashes into poverty and absolute collapse. And competing head to head in Russia’s area of greatest strength, America still wins hands down, in dominating fashion. How is it, then, that Russians dare to continue to adopt such a provocative and hostile attitude towards the USA? If one were to name a particular date when Russia’s nascent democracy succumbed to Vladimir Putin’s authoritarian regime, April 14, 2001 would be a fairly good contender. Ten years ago the Russian government, using the state-owned energy giant Gazprom as its proxy, seized control of NTV—the country’s largest and most popular independent television channel. There were, of course, other significant dates: June 22, 2003 (the government-ordered shutdown of TVS, Russia’s last independent television channel), October 25, 2003 (the arrest of oil tycoon and opposition supporter Mikhail Khodorkovsky), December 7, 2003 (the expulsion of pro-democracy parties from Parliament in heavily manipulated elections), December 12, 2004 (the abolition of direct gubernatorial elections—ironically, signed into law by Mr. Putin on Constitution Day). But it was the takeover of NTV that was, in many ways, the point of no return. 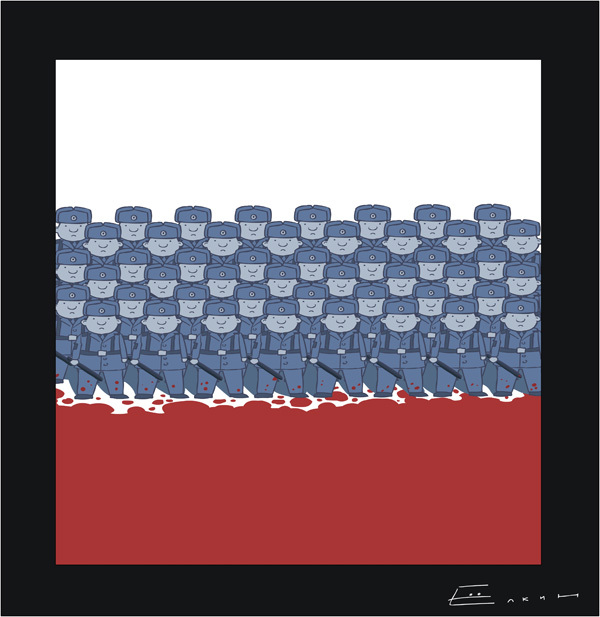 EDITORIAL: What can Russia Do About it? What can Russia Do About it? Scholar Paul Goble points to an important bit of analysis by Valery Bondarenko on the Imperia website which highlights Russia’s foreign-policy impotence even in its near abroad. What can Russia really do, Bondarenko asks, to rein in the actions of countries like Belarus, Ukraine and Moldova if they choose to go their own way, independent of Russia? Next to nothing, he answers. We learned last week that merger and acquisition activity in Russia fell a shocking 62% last year. Activity in the areas of consumer goods and retail, financial services and metals and mining was even worse, down a devastating 80%. Investors spurned Russian risk with a furious vengeance, and for this same reason the Russian stock market’s value remains utterly puny compared to the theoretical value of the assets it represents. The world, you see Mr. Putin, is getting wise to you. Gazprom’s extensive network of loyalists, often act as “men of sacrifice,” devoted to cleansing the image of the Russian state owned gas monopoly. Working out of a modern office building in Berlin owned by Gazprom Germania, a German registered company fully owned by Gazprom Export which, in turn is run by Gazprom, they have built up a considerable empire for the Kremlin. In turn they are being whitewashed by other loyalists in the offices of Brussels-based PR firm GPlus Europe.